What could be worse than regular water damage? Water damage that is caused by sewage back-flow or leakage in your home. If you have sewage damage, you could be facing a serious health threat for you and your family. This can be especially hazardous for residents who are elderly, very young, or immuno-compromised. The longer that sewage damage remains untreated, the worse the problems become and the more likely that harmful bacterias and microbes will develop. 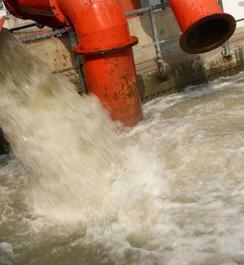 Myth: Sewage that comes from oceans, lakes, or rivers is clean. Truth: Sewage in this form may be diluted, but it contains the same microorganisms that all other sewage contains. It is damaging to health and can cause serious odors. Myth: You can salvage sewage-saturated carpets. Truth: When sewage infiltrates a porous material, you need to be able to wash that material in hot water or dispose of it. Otherwise, it will be a constant health threat. Myth: Partial sewage flooding means the rest of the building is safe. Truth: The rest of the building is safe only if the sewage-affected areas can be properly sealed off. As you can see, it is vital to your health and home that sewage damage be addressed promptly and correctly. Contact Pro Restoration today for immediate help - we can come to your home to start controlling the damage, cleaning up the sewage, and getting your life back to normal. Check out our other services as well, such as water damage restoration, fire damage restoration, and mold remediation.